Traditionally heat and light are thought as energy sources to drive a particular chemical reaction, but now ultrasound is a promising energy source for this purpose. The collapse of a bubble generates a wide range of high temperatures and pressures, and therefore, use of ultrasound has a considerable potential in chemical and allied sciences. Ultrasound-assisted reactions are green and economically viable alternatives to conventional techniques. 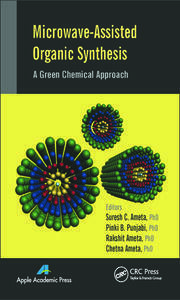 This new volume presents a complete picture of ultrasound-assisted reactions and technologies that can be used in organic synthesis, polymer synthesis and degradation, nanomaterials, wastewater treatment, food ingredients and products, pharmaceutical applications, bioenergy applications, and more. 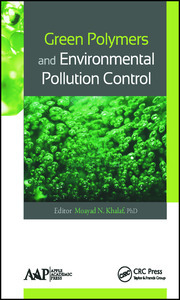 This volume aims to shed light on the diversified applications of ultrasound and its significant role as a green chemical pathway. Sonochemistry deals with the effect of ultrasonic waves on chemical systems. It has green value because of non-hazardous acoustic radiation and is therefore duly recognized as a green chemistry by synthetic chemists as well as environmentalists. There is no direct interaction of ultrasound with molecular species, but the observed chemical and physical effects of ultrasound are due to the cavitational collapse, which produces drastic conditions of temperature and pressure locally. It induces the formation of various chemical species, which cannot be easily attained under conventional conditions. Sometimes, these species are responsible for driving towards an unusual reactivity in molecular entities. 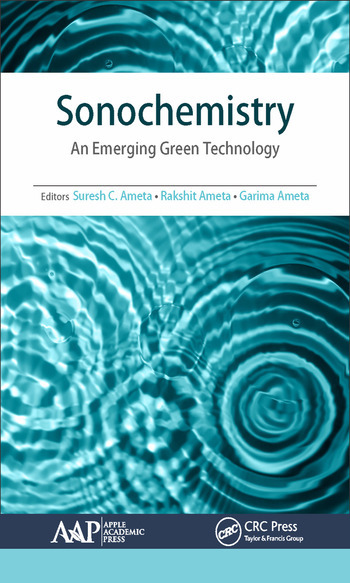 This book, Sonochemistry: An Emerging Green Technology, provides the complete development of sonochemistry, starting with an introduction and basic concepts of sonochemistry and proceeding on to different types of sonochemical reactions, instrumentation, use of ultrasound in driving particular chemical reactions, and its applications in various fields, such as polymer synthesis, decontamination of water and wastewater, preparation of nanomaterials, food technology, pharmaceutical sciences, etc. The book also briefly discusses some areas that utilize ultrasounds of different frequencies. These include food products and their processing; anaerobic digestion of waste; and medical applications such as ultrasonography, sonodynamic therapy, drug delivery, etc. Sonochemistry will be successfully used on an industrial scale in pharmaceutical drugs, polymers, nanomaterials, food technology, material science, biogas production, etc. 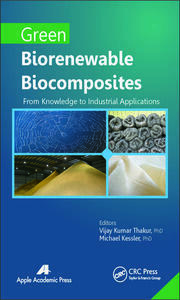 in years to come and will be an established green chemical technology of the future. Suresh C. Ameta, PhD, is currently Dean, Faculty of Science at PAHER University, Udaipur, India. He has served as Professor and Head of the Department of Chemistry at North Gujarat University Patan and at M. L. Sukhadia University, Udaipur, and as Head of the Department of Polymer Science. He also served as Dean of Postgraduate Studies. Prof. Ameta has held the position of President of the Indian Chemical Society, Kotkata, and is now a life-long Vice President. He was awarded a number of prestigious awards during his career, such as national prizes twice for writing chemistry books in Hindi. He also received the Prof. M. N. Desai Award (2004), the Prof. W. U. Malik Award (2008), the National Teacher Award (2011), the Prof. G. V. Bakore Award (2007), a Life-Time Achievement Award by the Indian Chemical Society (2011) as well as the Indian Council of Chemist (2015), etc. He has successfully guided 81 PhD students. Having more than 350 research publications to his credit in journals of national and international repute, he is also the author of many undergraduate- and postgraduate-level books. He has published three books with Apple Academic Press: Chemical Applications of Symmetry and Group Theory; Microwave-Assisted Organic Synthesis; and Green Chemistry: Fundamentals and Applications; and two with Taylor and Francis: Solar Energy Conversion and Storage and Photocatalysis. He has also written chapters in books published by several other international publishers. Prof. Ameta has delivered lectures and chaired sessions at national conferences and is a reviewer of number of international journals. In addition, he has completed five major research projects from different funding agencies, such as DST, UGC, CSIR, and Ministry of Energy, Govt. of India. Rakshit Ameta, PhD, is Associate Professor of Chemistry, PAHER University, Udaipur, India. He has several years of experience in teaching and research in chemistry as well as industrial chemistry and polymer science. He is presently guiding six research students for their PhD theses, and eight students have already obtained their PhDs under his supervision in green chemistry. Dr. Rakshit Ameta has received various awards and recognition in his career, including being awarded first position and the gold medal for his MSc and receiving the Fateh Singh Award from the Maharana Mewar Foundation, Udaipur, for his meritorious performance. He has served at M. L. Sukhadia University, Udaipur; the University of Kota, Kota; and PAHER University, Udaipur. He has over 100 research publications to his credit in journals of national and international repute. He holds one patent, and two more are under way. Dr. Rakshit has organized several national conferences as Organizing Secretary at the University of Kota and PAHER University. He has delivered invited lectures and has chaired sessions in conferences held by the Indian Chemical Society and the Indian Council of Chemists. Dr. Rakshit was elected as council member of the Indian Chemical Society, Kolkata, and council member, and Zonal secretary, Indian Council of Chemists, Agra as well as Associate Editor, Physical Chemistry Section of Indian Chemical Society. Dr. Rakshit has also worked as Scientist-in-Charge in the Industrial and Applied Chemistry Section of Indian Chemical Society. He has written five degree-level books and has contributed chapters to books published by several international publishers. He has published three books with Apple Academic Press: Chemical Applications of Symmetry and Group Theory; Microwave-Assisted Organic Synthesis; and Green Chemistry: Fundamentals and Applications; and two with Taylor and Francis: Solar Energy Conversion and Storage and Photocatalysis. His research areas focus on wastewater treatment, photochemistry, green chemistry, microwave-assisted reactions, environmental chemistry, nanochemistry, solar cells, and bioactive and conducting polymers. Garima Ameta, PhD is working as a Post-Doctoral fellow at M. L. Sukhadia University, Udaipur, India. She has published thirteen publications including chapters in the fields related to sonochemistry. She has received a Young Scientist Award (2016) for best presentation at a national conference. Her research interests are in the field of use of ultrasound in wastewater treatment and synthesis of ionic liquids.